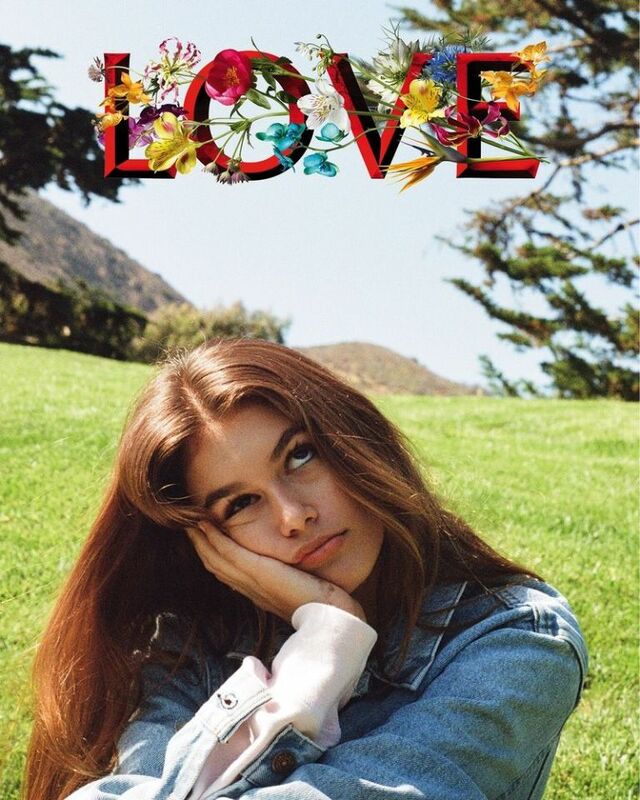 Kaia Gerber may be only 15 years old today, but already she’s taking after her mother, the legendary high school valedictorian and brunette supermodel Cindy Crawford. So far, she has starred in campaigns for Miu Miu and Alexander Wang, appeared on the cover of VOGUE Paris, and served as the subject of Kendall Jenner’s first attempt at fashion photography. She's also become one of our favorite to watch on the red carpet. In celebration of her birthday, here’s a closer look at Gerber’s greatest hits--so far. Kaia Gerber wore a white dress to accompany her mom to a Runway for Life benefit in 2001. Here, the future style maven takes in a spot of theater with mom. In 2010, Gerber and her family attended the premiere of "Alex's Lemonade Stand" in Hollywood, California. Frankly, her brother's energy drink-branded hat is the real winner here. Gerber and a guest attended an event together in Chino, California. Hope they're still close! It looks as though Gerber is still taking a lot of style cues from her mom — note the similarities in their sandals and those bohemian prints. For the Teen Vogue Young Hollywood Party on September 26, 2014, Gerber looked elegant in a black column dress and her hair swept over to one side. Basic black proves to be anything but for Crawford and her daughter at an event in West Hollywood, California in 2014. Gerber rocked a ballet-inspired tulle skirt in Hong Kong last summer. Gerber and her brother Presley stunned at a Teen Vogue event in October 2015. Gerber doesn't just take after her mother when it comes to her looks--but also, it seems, for her soda preference. Gerber poses like a pro with Sarah Hyland in West Hollywood. The mark of a true model? Looking fabulous even in the simplest of outfits. Gerber achieves that here. At the Balmain x H&M Los Angeles VIP Pre-Launch last November, Gerber truly embodied the brand's aesthetic. Gerber looked positively statuesque in this black gown, which she wore to the Fashion Los Angeles Awards in March 2016.